Based in New York, Gerry McNamara is the global managing partner of the Information Officers Practice for Korn Ferry, the preeminent global people and organizational advisory firm. He provides management and oversight to the CIO leadership teams in North America, Asia Pacific, Latin America and EMEA. Prior to his consulting career, Gerry spent 15 years in information technology with IBM. He also held the rank of Captain in the United States Marine Corps. 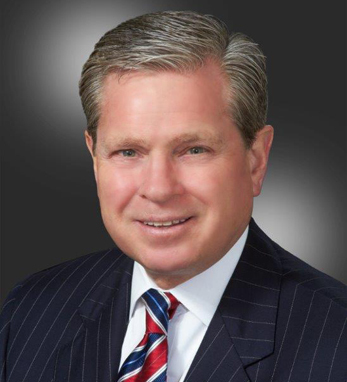 Gerry holds a master’s degree from Pepperdine University, and a bachelor’s degree from Mount St. Mary’s University. He is a surviving passenger of US Airways Flight 1549 which made an emergency landing on New York’s Hudson River on 15 January 2009. Born in Brooklyn, Gerry is a second generation Irish American with familial roots in Ballynahinch, Co. Down, Butlersbridge, Co. Cavan, and Tralee, Co. Kerry. “I have always admired with greatest pride the courage my ancestors showed leaving their homeland to chart a course for the future here in the U.S.A.,” he says. He and his wife Debbie live in Charlotte, North Carolina and have three children.